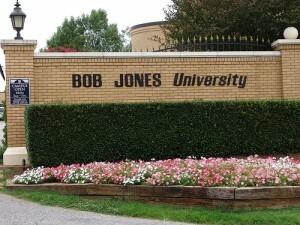 BJUGrace is officially associated with neither Bob Jones University nor GRACE (Godly Response to Abuse in a Christian Environment). We speak out for the sake of God’s mercy and truth, righteousness and peace, in the lives of His people and before a watching world. We want to see victims and survivors of abuse know that they are not suffering alone, their voices are heard, and they are precious and worthy of care. Click here to read more about the administrators of this page. Click here to read some objections we've encountered from well-meaning Christians in trying to speak up for grace and truth in abuse allegations at Bob Jones University. Click here to read the FQBVs we've encountered as people are seeking to find and express the truth with grace in abuse allegations at BJU.